Activision confirmed this week that Tony Hawk's Pro Skater 5 will be released later this year. Now we've got more gameplay details, giving us a better idea on what to expect from the next entry in the franchise. Its title was leaked not long ago by the most unlikely source, but now Activision has confirmed that Tony Hawk's Pro Skater 5 is coming and – if we say so ourselves – it sounds pretty rad. 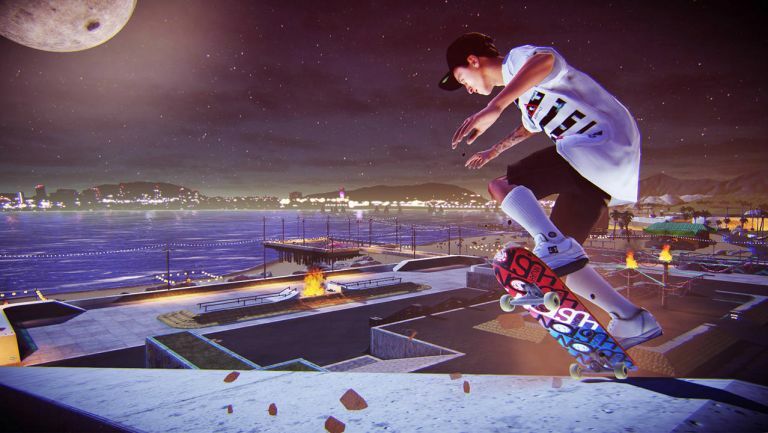 Developed by Robomodo and Disruptive Games, Pro Skater 5 aims to capture the series' combo-driven gameplay that last featured in Tony Hawk's Pro Skater 4 (2002). At the same time, it will introduce many new elements to up the ante for next-gen consoles. This includes re-imagined classic Pro Skater environments, with fresh screenshots showing familiar settings from our childhood like the Warehouse and School. Activision will also introduce some intriguing new ideas, including power-ups and the ability to shoot projectiles on different missions that should "change up the core skating experience." Activision also confirmed the list of pro skaters who will skate alongside Tony Hawk inPro Skater 5: Nyjah Huston, Riley Hawk, Aaron "Jaws" Homoki, Ishod Wair, Leticia Bufoni, Chris Cole, David Gonzalez, Andrew Reynolds and Lizzie Armanto. The most exiting aspect about Pro Skater 5 is the new online multiplayer mode. Players will be able to drop in and out of online sessions with friends and random people. You'll also be able to take on missions, go head-to-head, and unlock new content. On top of that there's a park-builder feature that lets players create their own skateparks and then share them with the community. "Skateboarding has always been about the freedom of ripping with your friends, and creating a game that captures that feeling has been a vision of mine since the Pro Skater series began over 15 years ago," Tony Hawk said in a statement. "I'm beyond excited to see that dream finally come true withTony Hawk's Pro Skater 5, which takes the old-school attitude of the original games online in a big way." Tony Hawk's Pro Skater 5 comes to PS4 and Xbox One sometime this year, but there's no word yet on a release date for PS3 and Xbox 360 versions.